When a wireless network is not visible in the list of networks available for your wireless device to connect, its SSID Broadcast may be disabled. Disabling the SSID Broadcast of a Linksys router is another way of keeping your network secure because it hides your wireless network from wireless devices. This article will provide you with instructions on how to connect your iPhone® to a hidden wireless network or a network which has a disabled SSID Broadcast. NOTE: The steps discussed here may also be used if you want to connect to the wireless network using an iPod®. 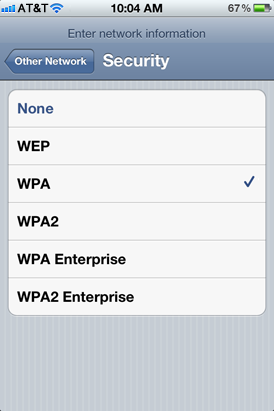 For instructions on how to check the wireless settings of your Linksys router, click here. 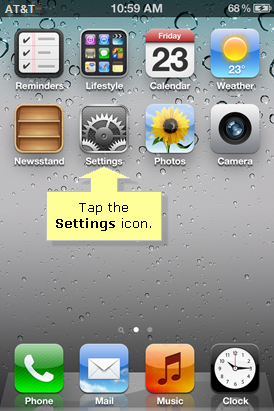 Tap the Settings icon on the iPhone’s main screen. On the Settings menu, tap Wi-Fi. 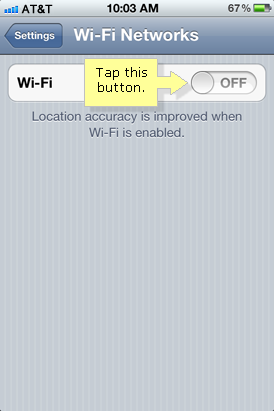 Tap the Wi-Fi button to activate this feature. 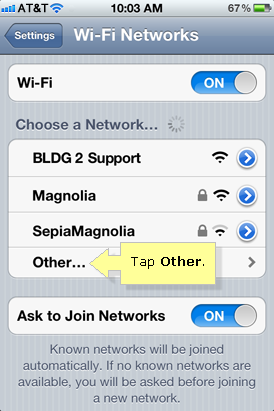 Enter the wireless network name (SSID) of the router. Tap Security and select from the listed security modes. NOTE: Go back to the previous menu by tapping Other Network. 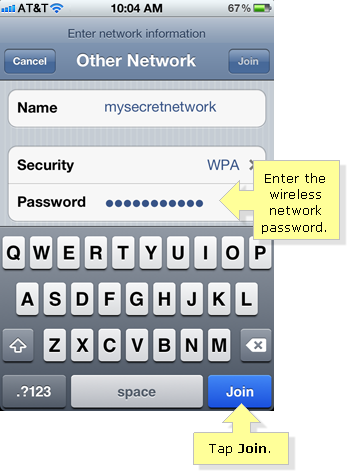 Enter the Password of the wireless network then tap Join. Your wireless device should now be connected to your network. Ensure that the MAC Filtering feature of your router is disabled. A MAC filtered wireless network only allows the registered MAC addresses of devices to connect to it. To know if you have wireless MAC filtering enabled on your router, access the web-based setup page and click Wireless > Wireless MAC Filter. You can also reset your network settings. 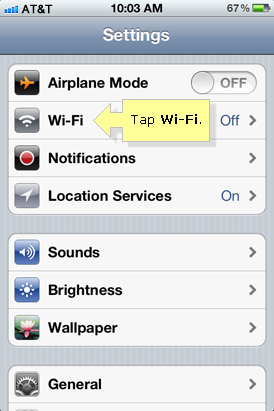 On your iPhone® or iPod®, tap Settings > General > Reset > Reset Network Settings. If you are still encountering issues when attempting to connect your device(s) to the wireless network, see your device’s documentation or contact your device’s manufacturer support for further assistance.